E. coli are a common pathogen that is associated with food poisoning. Usually found most often in meat products, the pathogen has found a way to spread and even become deadlier as it can now cause death. Recently there was a recall of beef products in Canada. The Canada Food Inspection Agency recalled these products under strong suspicion of E coli O157: H7 contamination. This recall affected places like Wal-Mart, Sam’s Club and Kroger. Apparently, under further inspections they found that the products contained some traces of the pathogen that is said to be highly lethal for human consumption. 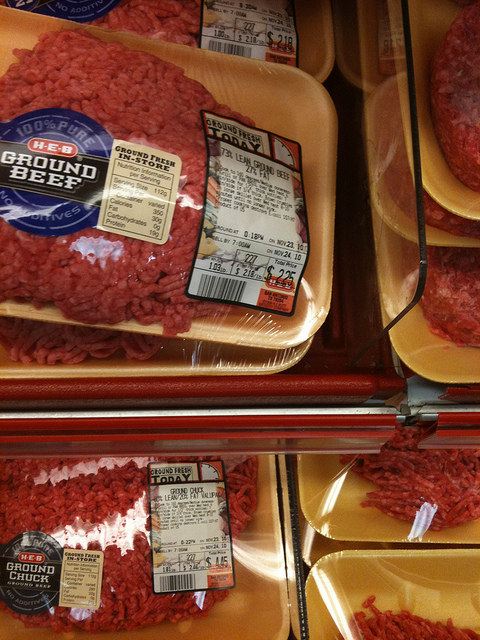 The FSIS issued a public health alert about beef products being sold. There are no illnesses discovered due to the beef that had been purchased. There was also a strict order that any beef products that had been recalled were to be discarded. These products included tenderized beef, ground beef and also the roast. The E. coli O157:H7 bacterium is said to cause bloody diarrhea and dehydration. In most severe cases, it is said to lead to kidney failure and potential death as it weakens the immune systems. It was recommended that the ground beef be cooked to a temperature of 160 degrees and those who were concerned about the bacteria were to contact their health care provider as soon as they could. The U.S department fortunately compiled a list of retailers that were affected by the recall. This will better help the public to be sure of which food stores to avoid buying beef products for the time being while the situation is being resolved. The public is however, encouraged not to panic following these developments as the Foods Safety and Drug Agency is doing their best to make sure that things are going back to normal.